Part of the view from my desk chair in the basement nook. "It seems to me that we awaken more profoundly out of hard times than out of the calm times in our life. Crisis and opportunity are indeed one and the same. When we are faced with a setback or difficulty, we always have the opportunity to either label whatever is happening "difficult," "failure," or "crisis"—or not to label it at all and instead see it as "just this." This view of reality, without labels, allows for all kinds of possibilities to arise if we could only trust the moment. Developing such trust is the work of Zen." There's a note in my writing nook just above the desk asking What opportunity is inside of this failure or disaster? It's a better way of thinking than my usual I'm totally screwed and there is no way out of this crisis. Yeah, just a little better. This morning I woke, tidied the kitchen, made coffee, and came down to the nook to write. A perfect start to my day. The planner is open on the desk to catch ideas and get things off my mind and out of the way. A candle burns to mark time and remind me that I'm on a long journey but that this moment is bright and hot enough to burn. I have three pages I get to fill as I please. Today is a national holiday so I don't have to teach school. There's no reason to hurry. I can write all day. I want to be a writer because I have things to say and want to serve others. My teaching no longer feels like good service and I go largely unheard. I want new audiences and to live a life of my choosing even if that life proves difficult. I want to be a writer because I'm intrigued and challenged by writing every time I commit thoughts to paper or screen. Drafting, revising, editing, all of it invigorates and excites me. I even love to refill my fountain pen. I just can't get enough. I want to be a writer because I'm a better person to my family, friends, community, and myself when writing. I'm healthier and more alive making words and sentences into new ideas than doing anything else. I want to be a writer because I don't ever run from writing. I can be distracted from it by my job and by depression (two things that go hand in hand) but I return without complaint and with desire that becomes energy. Writing doesn't depress me or sap my strength. At its worst, writing still lifts me. 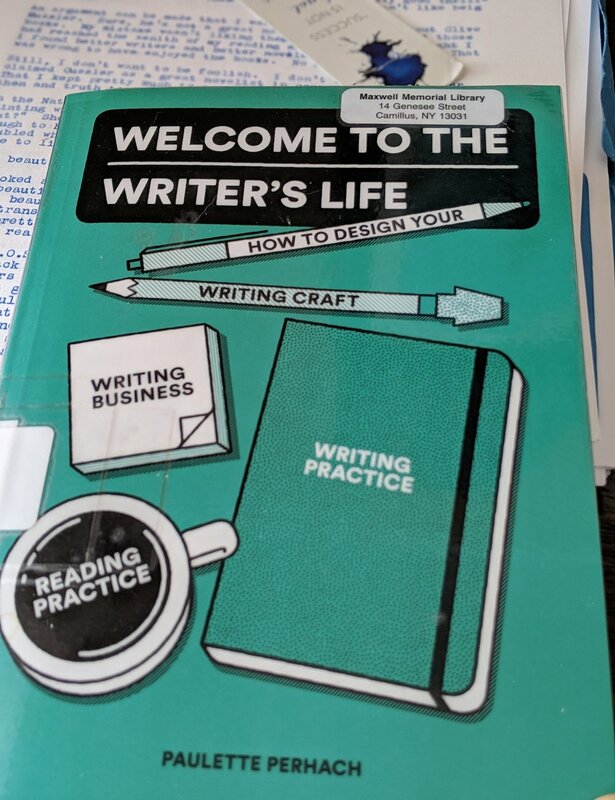 I want to be a writer because I want to be a writer, because I want to be writing, because for as long as I can remember I have wanted to be writing. If anything the desire to write intensifies day by day. It got stronger when I first drafted these words. It has gotten stronger as I have revised them. I want to be a writer because I am a writer.